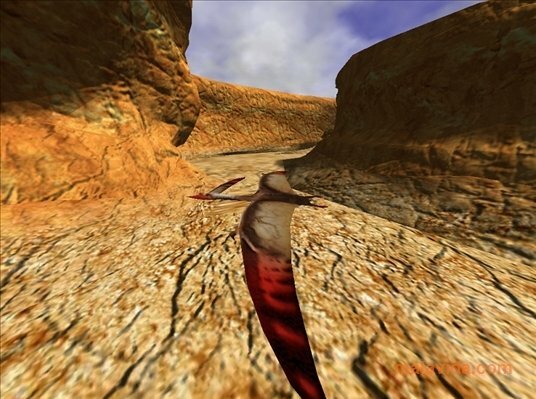 If you'e tired of the screensavers that Windows includes or the typical one that simulates an aquarium, and you're not convinced by anything you have found on the web either, maybe this completely 3D environment that simulates something similar to the Grand Canyon with a pterosaur flying around will satisfy your screensaver needs. 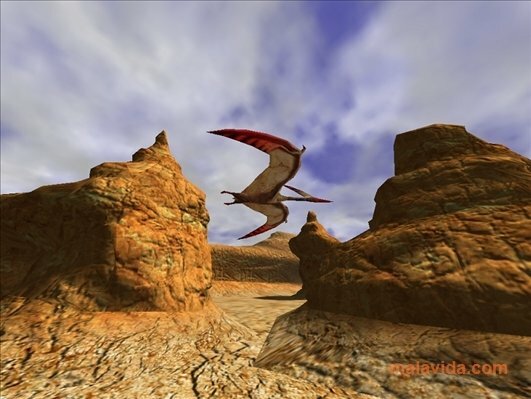 3D Canyon Flight Screensaver simulates the flight of a 3D model of a pterosaur (often called Pterodactyl) in a canyon with red walls, stones, caves, tunnels and gullies. The pterosaur flies around at full speed making rather realistic pirouettes and the light effects (specially the direct sunlight) are really well done. 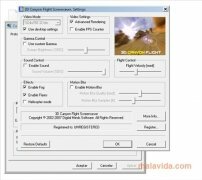 The screensaver is completely customizable, it has sound and includes graphic effects that make it pleasant to view. 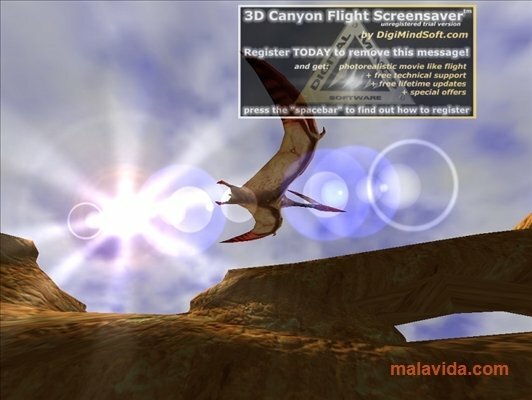 If you want to change you screensaver for something that is a bit more interesting than lines or fish, this is your opportunity, download 3D Canyon Flight Screensaver and enjoy the pterosaur's flight.